LinkedIn remains THE most powerful platform for professional networking, serving to expand your network, grow your professional brand and job seek in today’s competitive market. But it’s a jungle out there, and you can’t assume your profile will easily pop up in searches. For job hunters, a few LinkedIn tips and tricks can make mountains of differences and command attention. Be discreet and professional. Before updating your LinkedIn profile, navigate to LinkedIn’s “Privacy & Settings” section and turn off the option to “Share Profile Edits” with your network. This way you’ll spare your network from receiving announcements about each and every edit you make, and most importantly, avoid tipping off your current boss or colleagues. Showcase a polished, professional headshot and a complete and easy-to-read resume profile. 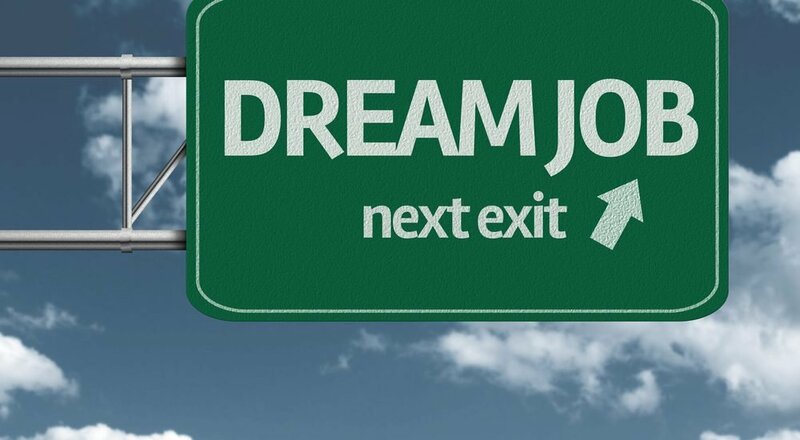 Your resume should include your current position and your education, the location you are in, the industry you work in and the particular skills you bring to the job. According to LinkedIn, adding your location, for example, makes your profile 23 times more likely to be seen. Much like your paper resume, steer clear of LinkedIn profiles that read like a roster of generic job descriptions. “Quantify your accomplishments, include action words and describe times when you overcame problems and experienced success,” suggests Jeff Campin, Partner at The Mason Group in the Contract Recruitment Division. “This approach will be much more powerful than a rundown of your day-to-day duties,” he adds. If you’re currently between jobs, be advised: some recruiters base their LinkedIn searches only on current title field keywords. Tip the odds in your favour and simply tweak the “Current Title” field to create a convincing dummy title that references your goal job title. You could add phrases such as “Seeking New Opportunities” or “Proven Expert in”. In doing so, instead of simply listing your previous experiences, you are optimizing your LinkedIn profile for recruiters to find you. The skills field plays a key part in the search algorithm for LinkedIn. Plus, it’s incredibly easy to fill. Type in the specific skills and competencies you possess or simply select them from an existing list. Aim at adding at least 15 to 20 skills to showcase your experience and abilities efficiently. Take a look at the job descriptions for a few of the positions you’re interested in, and see what common words pop out. Those are keywords you’ll want to be sure to include and repeat throughout your profile, as they are most likely terms recruiters will be searching for on LinkedIn. If you’re having a hard time deciding on the most powerful keywords, use a word cloud generator like Wordle or WordClouds to instantly see which ones are most popular. In creating a LinkedIn profile, your page was matched to a long string of letters and numbers that served as your URL. Although this does the job, meaning your page is out there, it does not help people easily find you via Google or LinkedIn searches. Creating a clean and simple URL will do the trick. It should look as slick as this: http://www.linkedin.com/in/yourname. To change your URL, simply go to your profile and click on “Edit Public Profile and URL”. 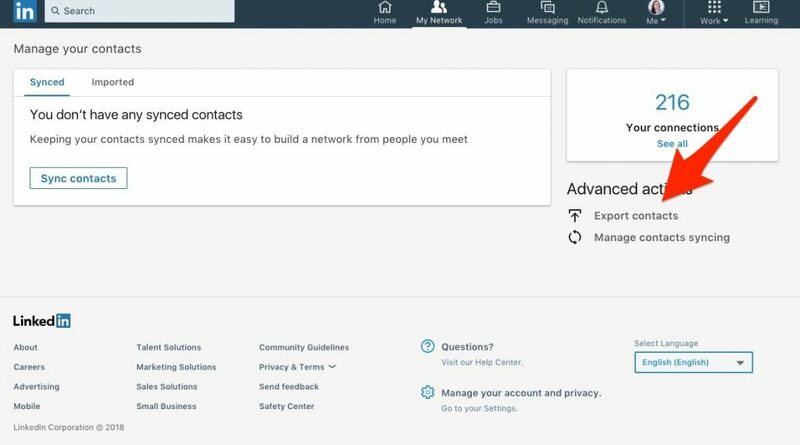 Exporting your connections produces a spreadsheet listing the names, email addresses, current employers, and positions of all of your LinkedIn connections. It becomes a handy tool to help you track and search through your connections. To export and create this most-useful contact list, go to the “My Network” tab and click on “See All Contacts”. Then click on “Manage Synced and Imported Contacts” in the top right corner. Under the “Advanced Options” section, you will see “Export Contacts”. Select and the list is yours! Alerts are useful when seeking for new opportunities and hires. Job alerts are quite effective in tracking available postings. 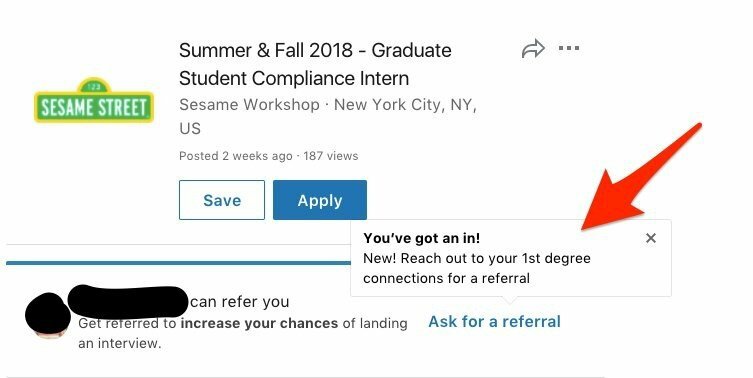 When you search for a job in LinkedIn’s “Jobs” section, you may set up custom alerts that will go straight to your inbox when a particular job is available. You may access LinkedIn’s “Jobs” section by clicking the suitcase icon at the top of the homepage. “When asking for a referral, you should remind connections of how they know you, jog their memory and call out things you have in common. Share why you’d be a good fit for the company and include your skills and relevant experience. This makes it easier for the person to place a recommendation to his hiring manager or recruiter”, explains Alex Barker, Partner at The Mason Group in the Permanent Recruitment Division. The “Open Candidate” feature works like a secret switch, quietly letting recruiters know you’re actively seeking a job while hiding it from your current employer or any of its affiliated recruiters. According to LinkedIn, profiles with the “Open Candidate” setting turned on receive twice as many messages from relevant recruiters. 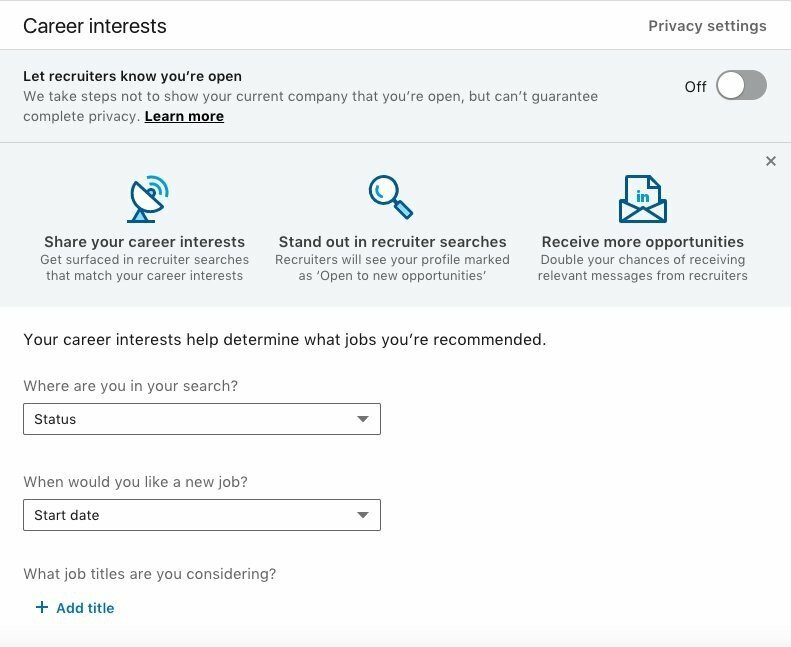 To turn the setting on and signal you’re open to new opportunities without placing the glaring sign in front of your current employer, simply go to the “Career Interests” section within “Your Dashboard” on your profile and select the option. As with any social platform, LinkedIn is most powerful when used to share posts such as interesting, industry-relevant articles or announcements. Set a goal of posting once a week and maximize your chances of getting noticed by recruiters. You’re almost done with power-housing your profile! Find out the 10 Things Recruiters Look for on Your LinkedIn Profile. Now, happy hunting and may the odds be in your favour!